We’ll have some hands-on (eyes on?) impressions coming a bit later this week on the Blog, but the short version is, Justin, Ryan and I were pretty wowed. It’s come a long way since a year ago, the OLED screen makes a huge difference, and the new demos were a hoot. I was pretty impressed. Can’t wait for more folks to try it! Oh cool, another thing for SCE to ignore like Vita, Move, 3D, and Eyetoy! Will be interesting to see what the price ends up being. I’m all for this, I just hope it sees good support. At least up to par with Move, which while people trash has tons of games that use it. Depending on the price, which will be crazy for sure in my country… what am I saying, I´m getting this at any cost. Up to $500 would be reasonable. Is the new Morpheus dev kit available on the GDC expo floor to try? I’ve been excited to try some of the modified Wonderbook demos that Shu first talked about! I’m curious if the tracking LEDs dynamically change color, or if it requires manual recalibration when the environment lighting changes like the Move did. Not having dynamic/continuous recalibration of the Move was one of the things that made it quite difficult to use in a room with sunlight. Will there be any bio sensors, like galvanic skin response or pulse rate? I’m very excited to play PixelJunk Eden on Morpheus — seeing the garden grow around you will be really, really awesome. The price, support, and overall usability will determine if this is awesome or not. I hope it’s amazing. I’ve been excited for this since the first announcement! I want to use Project Morpheus with Project CARS with a Racing Wheel. I want this so bad. A year away and I can taste the sweetness from here. 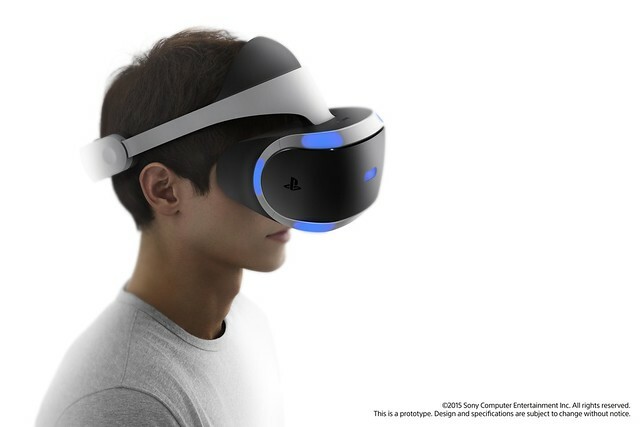 Thank You Sony for making my dream’s come to a reality with Virtual Reality. oh joy another upcoming epic fail accessory just like the Move. stick to games and not accessories. there is a reason your tv and mobile phone market is bombing. Anyone know if you can watch movies on it? Excellent move with the OLED upgrade!! 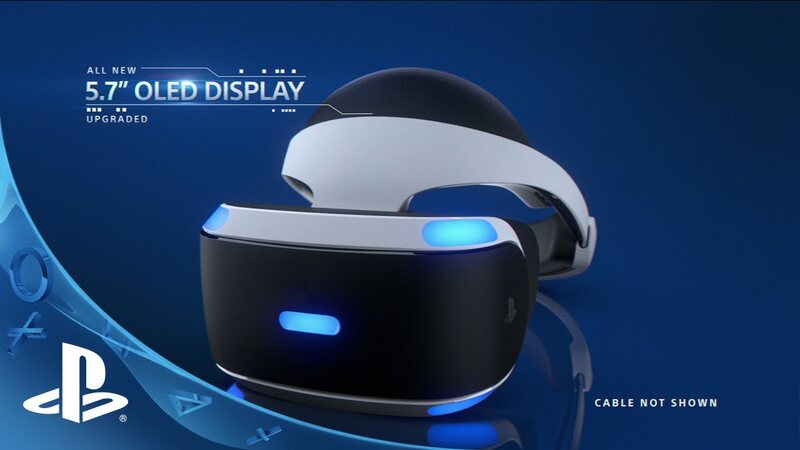 I’m sure Morpheus will be the best VR experience on the market. I tried Oculus and was not impressed, and Valve’s HTC headset? They may cheap cell phones for crying out loud. This is just going to be another thing Sony gets us to buy into and then just abandon it just like 3D! No thanks I’ll think I’ll pass this time. Fool me once shame on me…. Start supporting 3d gaming again!! OMG, shut up and take my money! Really excited for the OLED upgrade, still rocking my OLED Vita. The sexiest VR headset out there. This better not be like one of those concept cars that look like crap with half of the prototype look taken out of it for mass production. Just give me a price so I can put in my preorder sit back relax and have amazon deliver it to my office on release date. Thank you Sony! Thank you amazon! Holy crap! This is HUGE news. The specs are perfect, and I know that this will provide the highest caliber of VR experiences. I just can’t wait to see what creative developers dream up (especially AAA studios)! 2016 is going to be an INSANE holiday shopping season (the release timing couldn’t be more perfect). 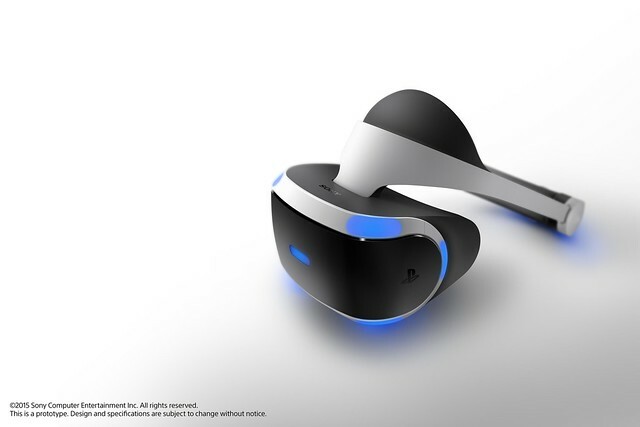 I don’t know if Sony will be able to meet demand, as Project Morpheus is nearly guaranteed to be the gift to have! I’m not sure about this one yet. I might bite if it’s at a reasonable price and the games are worth it. I just hope it doesn’t end up being a glorified Virtual Boy. Awesome! I hope this works for people with glasses like myself. I tried it with my glasses on and it worked splendidly. You can adjust the unit forward and back to find the best fit and line it up with your eyes just right. Sorry but it’s not the future of gaming, at least not for a LONG time. It’s just going to be another Move, nobody will buy it because it’s going to be really expensive and separated from the console therefore nobody will be making games for it due to a low installation base. Damn that’s sooner than expected! 1080p/60FPS?! Shut up and take my money! Day one purchase AKA shut up and take my mullah! …Just bundle it with Star Wars Battle Pod! Sorry but I don’t think I would buy this if it only cost $100. I’m just not interested in VR. Maybe PSN will add a YouPorn app with it. Definitely worth $500 if that happens. by the way, I hope more than just SCEE is involved in supporting this device. Otherwise I see SCEA letting it fizzle off and die like everything SCEE has tried supporting. Sony needs to be more unified. SCEA constantly drops the ball with SCEE content, and if Morpheus is only going to see Europe provide for it the. I have little hope that it will survive. SCEA needs to prove they are behind this. Open a NA studio for it, branch Santa Monica into it. Because I don’t trust them to support Europe’s efforts here. They didn’t do it with Wonderbook, PS Move, and just their IP in general like Invizimals, EyePet… Europe can’t make this a success on their own. Is America and Japan (Sony) actually on board? Or will it be another wonderful thing you create and let die? The other is suppose. I love Sony but they have been really bad at supporting hardware. The 2 most obvious being move: which had a few games and huge potential and is now dead. My 2 navi an 2 motion controla gathering dust. And promise of ps4 support with no news. Amazing idea that was over priced and unsupported. You are nailing it with impressive specs, official controllers, comfortable and sleek design, plug & play nature. The two latter points is something that will really set you apart from the competition. Now you just need to make sure that the HMD (excluding camera & controllers) cost $199 or less. Also make sure to have a Virtual Cinema app on day one (w/built in Netflix support and the like). Oh and: Aquire the gaming rights for ‘Ready Player One’ asap! Unless they announce multiple years worth of games, or do something to ensure games come to it, I will hold off. As an owner of Vita, PS Move, PS2 Eye, and other gadgets I’m pretty tired of getting shafted by Sony ideas. Cool gadgets but without the support they become useless. I’d hate to shell out 200 dollars for this and then it turns into an indie machine…. Yay side scroller 5! Looks great! As long as the software looks equally great, I’ll be picking one up for sure. I am super excited to read about the changes to Morpheus. I figured it would be ready around 2016 so I’m glad to hear about that confirmation too. I thought Morpheus was great when I tried it back at E3 2014, so I can’t wait to try the new design this year and the final release! Keep up the great work! This looks awesome!! can’t believe people aren’t more excited. Glad they’re going with OLED. This should be great. I hope developers are ready. It will be a day one purchase for me. The resolution and frame rate sound decent. Comfort was taken into consideration. I really don’t require a bunch of Move support. I just want a headset that puts me inside of the video game environment, allowing me to move my head independent of the direction my character is facing/shooter/slashing. DualShock controls will be just fine. I don’t have a problem compartmentalizing the virtual reality from the game controls. Just put me in the game, with graphics as far as the eye can see. I’d be happy playing Jumping Flash in VR, let alone Killzone. Of course, if the latter can happen, all the better.